Reiki Mississippi offers training and certification in Usui/Tibetan Reiki at all levels, in alignment with the International Center for Reiki Training. These classes are taught by qualified instructors who have attained Master Practitioner/Teacher certification, are practicing in private studios, and who have passed intensive teacher training with Reiki Mississippi. Each class is normally priced at $250. This class combines both levels to save you time and money. Combined class discount rate $388 for both certifications! SPECIAL: EARLY BIRD REGISTRATION IS NOW 10% off! To Pay Deposit ($100 non refundable, cannot apply in future class if you cancel) When you pay full fee, you’ll be sent the address of the workshop. To pay Early Bird Full Fee ($350) (Non refundable, but can apply to future class if you cancel)When you register, you’ll be sent the address of the workshop. To Pay Full Fee ($388) (Non refundable, can apply to future class if you cancel)When you register, you’ll be sent the address of the workshop. When you register, you’ll be sent the address of the workshop. Training is set in a lovely quiet location with soft, cushioned seats and couches, free tea and coffee, water. Attunements may be held in sacred outdoor locations if weather permits, utilizing the energies of the earth to accent Reiki initiation. Every care is made to support your comfort for an intimate and unique training experience. We cover the Shoden level on Saturday, and Okuden level on Sunday. How to give a complete Reiki treatment for self and others. Japanese Reiki Techniques, as taught by Dr. Usui including: Gassho meditation, Reiji-ho – developing your intuition, Byosen Scanning – detecting where Reiki is needed, Gyoshi ho – sending Reiki with the eyes, Koki ho – using the breath to send Reiki, Kenyoku – dry bathing or clearing ones energy field, Jacki-kiri Joka-ho, and more. You’ll make new friends, and have a wonderful time! The class is a combination of lecture, discussion and demonstration/training. Practice time includes giving and receiving a complete Reiki treatment on self and others, and practice drawing all the level II symbols. Call now to find out more and to reserve your place. ART is level 3 training, for the serious student of Reiki. PREREQUISITES: We require certification in Reiki 1 and 2, and advise that you have at least 6 month of practice with these first 2 levels before enrolling in ART. ART covers more of the Japanese cultural healing aspects, auric clearing, and crystal grid with Reiki, as well as a new attunement and symbol. Certification in ART is required for anyone on the path to Reiki Master Practitioner/Teacher Certification. Training is set in a lovely quiet location with soft, cushioned seats and couches, free tea and coffee, water, lunch is provided on the attunement day. Students are taken for Master Attunements to Emerald Mound in Natchez, weather permitting, utilizing the energies of this sacred location to accent Reiki initiation. Every care is made to support your comfort for an intimate and unique training experience. Master classes are limited in six to assure individual attention. 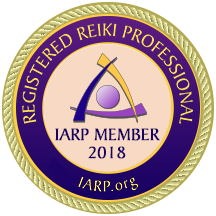 PREREQUISITES: Completion and certification in Shoden, Okuden, and ART plus at least one year of Reiki practice ( less than one year may be possible for practitioners who have a successful studio or extended practice). A simple written entry application and phone interview must be given before admittance to Master level training. Demonstration of Reiki techniques and knowledge of principles may be asked. If you need a study guide or assistance, please call or email me Ill be happy to help you get ready! Reiki Master Teacher certification is available any time you are ready to begin, please call or email me if interested to set a time convenient for YOU. Please contact me about any class you are interested in if you do not see something currently offered. I make every effort to hold training several times each year, and if you are located out of the metropolitan area and cannot attend posted classes, I can sometimes accommodate private groups at your location for additional fees. 1. To pay a deposit by check, please contact me for instructions and mailing address. 2. To pay deposit online: Hit the green link below and you will be able to pay your deposit. YOU DO NOT HAVE TO BE A MEMBER OF PAYPAL!